A look at how this relatively new technology can serve as a linchpin for HR leaders to solve business-critical challenges of the present and the future. 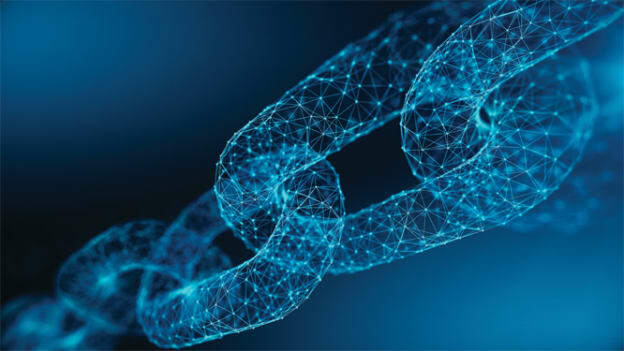 As CHROs and business leaders juggle the multiple challenges of talent, retention, engagement, and training alongside preparing for the future of work, the advent of Blockchain promises to shake things up even further. Leading organizations like Accenture, Facebook, and Microsoft are all betting on Blockchain to define the next set of innovation and disruptions in the digital world. Blockchain, a relatively new technology, has also shown immense potential to bolster and optimize the HR function as well. Let us take a closer look at what the technology is, and what it means for businesses and CHROs. Simply put, Blockchain is a new technology that allows digital information and data to be safely distributed without being stored in a single central database. Simply put, it is digital information stored in a public database (‘chain’). Each device (node) in Blockchain has its own copy of the information and helps in sustaining the entire network, which means there is no one single definitive record. This is a revolutionary change in the way the internet has been functioning so far, which is by storing and verifying information from a central source of record. In Blockchain, information is encrypted and stored across the entire network rather than a single server, which makes it virtually impossible to alter or hack. Although the concept has been in existence since 1991, it was conceptualized only in 2009 to facilitate the transactions of Bitcoins. In the last few years, however, the technology has been applied to domains other than currency transactions. The technology has proven to be more accurate, efficient, secure, and private than traditional ways to transact, store, and distribute information. As a result, industries that generate and store voluminous records of data (think of the banking system, the healthcare sector, legal documents and contracts, supply-chain management etc.) have started using it to secure their business operations. By the same virtue, the technology can help the HR function to categorically remove some of the biggest challenges and inefficiencies it faces today. In his comprehensive whitepaper, ‘Blockchain and the Chief Human Resources Officer’ for the Blockchain Research Institute, Andrew Spence, HR Transformation Director of Glass Bead Consulting, states that Blockchain has the capability to solve critical HR obstacles. From making talent search more efficient, candidate verification effortless, customer and employee data security foolproof, increasing workforce productivity, and managing the emerging gig economy, the technology can assist the leaders of today, and the future, in several business-critical challenges. “Blockchain technology has inherent features that can help HR departments to solve current verification and security problems…. it also supports smart contracts, which translate terms of employment agreements into software code that can be run on a Blockchain and facilitate transactions related to hiring, probationary periods, payroll, benefits, performance reviews, and other routine or standard HR obligations” he says. On similar lines, a PwC UK report says that Blockchain will be able to effectively target the pain-points for HR and have a “profound and pervasive” impact. “The processes most appropriate for transformation through Blockchain are likely to be those that are slow, cumbersome, labor-intensive and expensive due to the need for significant data collection and third-party verification,” it says. Coindesk, a leading authority on crypto assets and Blockchain, lists ‘digital identity’, ‘inter-organizational data management’, and ‘auditing’ as a potential use of Blockchain as a ‘system of record’; and, ‘smart contracting’, ‘clearing and settlement’, and ‘automated regulatory compliance’ as a benefit of using it as a ‘platform’. Experts have also opined that Blockchain has the potential to do away with the concept of resumes and LinkedIn, make payroll and taxation more accurate and transparent, and ensure objective compliance and auditing. "Blockchain solutions could play a big part in transforming the world of work, along with other technological developments and demographic changes. It could eventually enable CHROs to access talent in a more profound way, fundamentally changing the role of HR and paving the way for radically new organizations"
Spence breaks down the Blockchain revolution in HR in three distinct waves. The first wave will see organizations using the technology to expedite hiring, streamline payment, verify candidate credentials, and manage digital identities of candidates and employees. The next wave will focus on improving talent search and increasing workplace productivity, enhancing employer brand and reputation, and simplifying benefits, insurance, and pension, skill development, and learning. This will make the most of a Blockchain-enabled job market, wherein both the employee and employer will be in control of their data and information. Blockchain will also play an instrumental role in supporting companies to manage organizational change. The third wave will transform work and processes further by assisting leaders to manage their teams efficiently, measure, and understand team performance better, and help HR leaders become ‘change experts’ in a highly networked and connected enterprise. For employees, Blockchain will translate into a complete control over their data and access to more relevant jobs in a direct manner, thus, reducing the role of third-party job-aggregator platforms. Additionally, all their professional achievements – academic credits, training courses, certifications, employment record, and remuneration – will be safely stored and accurately verifiable. As Blockchain becomes more widely applicable, secure and user-friendly, and finds ways to decrease anonymity while preserving privacy, it will be adopted by more organizations in workforce management and individuals in identity management. Many organizations, including several Indian companies, have already started using Blockchain in recruitment, candidate verification, payroll, and benefits. In his report, Spence explains how companies using Blockchain for these purposes and beyond, are benefiting by hiring and retaining better employees, training more effectively, and streamlining contracts and payments for contractors. But if Blockchain holds the answer to so many questions that HR professionals are struggling with, why aren’t more leaders and organizations using it? In addition to a lack of awareness of the technology, the fact of the matter is that its application in the business world is in its nascence. That poses a critical question: how to get started? While preparing for the future of work and devising strategies to manage their people, companies need to start considering Blockchain as an effective and efficient technological support. Next, is to create prototypes, proofs of concepts, and conduct pilots with the most valuable and least-disruptive use-cases.